To make a long story short, I was able to finish three buildings. 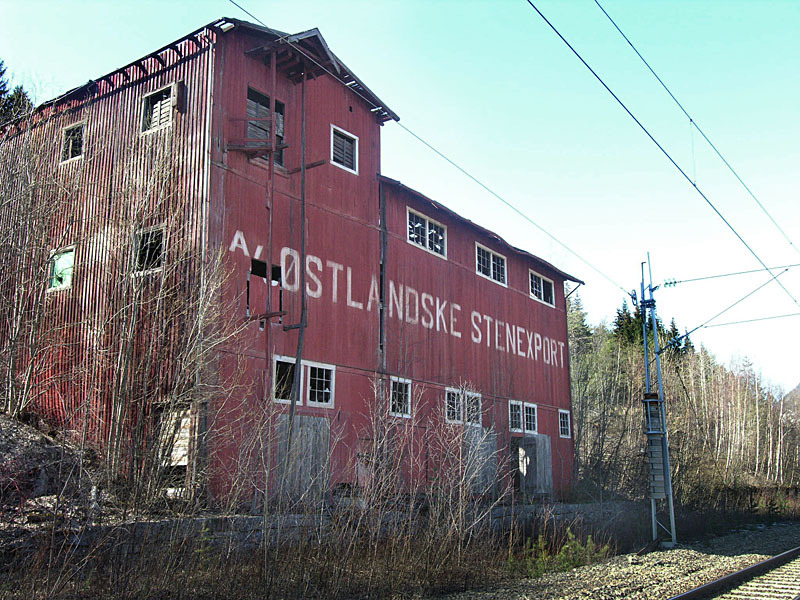 A sawmill, a small engine shed and a large stone products warehouse with an attached aerial tramway terminal. For the stone products warehouse, figuring out the rooflines and general arrangment of things was quite some work. Together with a friend I photographed and took some key measurements a while back. For a complex building like this a mockup is a very valuable tool. By making some glaring mistakes I was able to figure out how things really goes together, and a lot of changes will be made when building the “real” model. 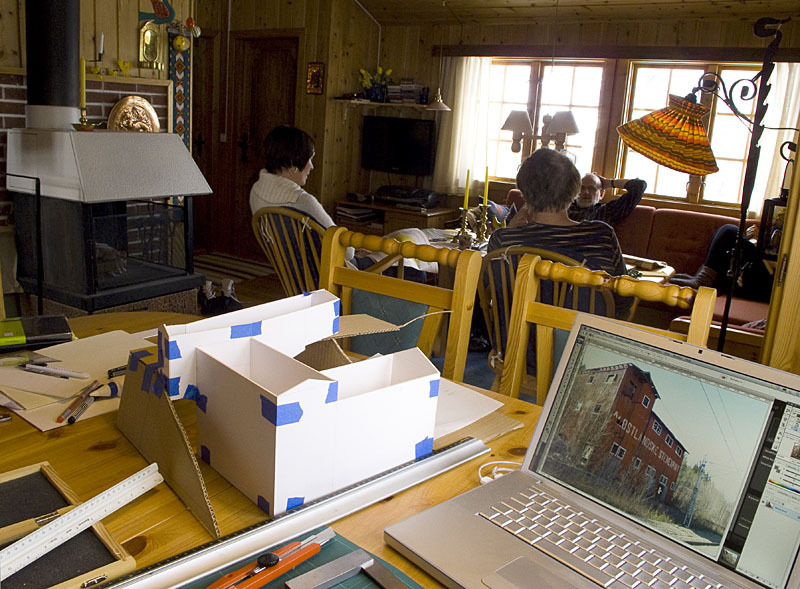 Building mockups in the mountains was a great success. To bring tools and materials to the family cabin proved to be far less controversial than I feared. And using only white glue I received no complaints for building in the livingroom. So next year I will take things a step further and bring Kappler stripwood, some waterbased stains and glue. Then I can build some “real” buldings as well!